(rockaa) The current lineup of Brazilian groove-metallers Sepultura have released a strong-worded statement saying there are no plans to reunite with founding members Max and Igor Cavalera. Max Cavalera, who left the band in 1996, has been in the press on a number of occasions in recent months, saying a gathering of the original lineup is on the cards, but one or other of the members is holding up the process. 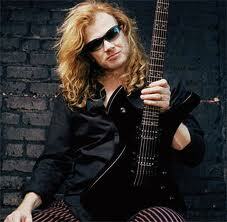 (Gibson) Megadeth main man Dave Mustaine and former Anthrax guitarist Dan Spitz are making an album together. Mustaine revealed the news to New Zealand’s 3news.co.nz and said that Spitz invited him to work on the record, which will be released under the moniker Deuxmonkey.